Earlier this week, Marvel vs. Capcom 3 players were greeted with a patch that prepped their game for the upcoming waves of downloadable content. It all starts March 1st, where players will be able to download six alternate costumes for half a dozen of the game's cast. Two weeks from then, players will also have the option of dropping some coin for the first set of DLC characters Jill and Shuma (free to those who purchased the special edition). Shadow Mode, which gives you the ability to fight "ghost" AI which reflect the playing styles of pro gamers/the game's designers is also in the horizon as well as the missed spectator mode for online player lobbies. From there, we're in the dark in terms of what we'll be getting next. Saturday Morning Arcade has been posting costume DLC wishlists throughout the week, but so far nothing is set in stone. The patch also added a few new titles that players can unlock for their online license cards. These titles require you to beat a specific shadow and afterwards you can show off to the online community that you've done so. While new titles are all fun and good to earn, there are still a few that have been present since the game's launch which are sparking some speculation around the net. Located (now) past the Shadow mode titles and before the Player Point related ones, lie 50 "Event" titles. To unlock, they require players to complete a certain event. The only problem is that no one seems to know how these are achieved or what these events are. 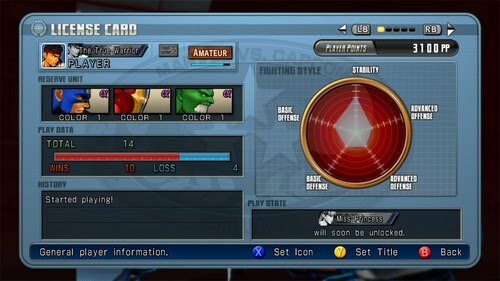 A common idea shared amongst users is that this will be something made downloadable by Capcom in the near future. Clouded in a level of uncertainty, what better way to exploit the situation than to comment on what we want to see out of this so called event mode. Check out our wishlist after the jump. Update: Find out what Event Mode really is over here. 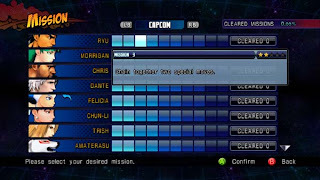 When it was announced that Marvel vs. Capcom 3 was getting its very own mission mode, the first thing we thought of was the event matches found within the Super Smash Bros. games. Here, players were asked to complete specific challenges and objectives, sometimes using specific characters. Some of these missions had a quirky backstory to go along with them, while others were purely just a test of skill. What they ended up doing was making you use characters that you didn't regularly use and utilize techniques that you might not have been aware of. 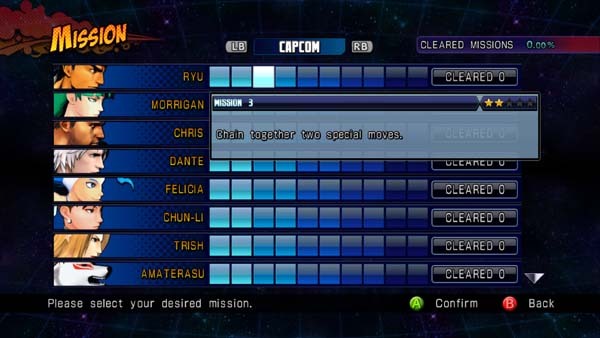 In the end, what mission mode boiled down to was something more akin to the challenge mode found in (Super) Street Fighter IV. You were given 10 combos (technically two moves and eight combos) and had to do them exactly to get the job done. While it technically made you use characters that you don't regularly use and utilize techniques that you might not have been aware of, it didn't have the same flavour that SSB's Event Matches offered. It might not be fair to expect something like this based on what another game from a different publisher/developer has done, MvC3's mission mode felt like a missed opportunity of sorts to us. As Saturday Morning Arcade contributor Christian P. said "I was hoping for scenarios, like having to use X-23 and fight Wolverine or something". Him and I both. 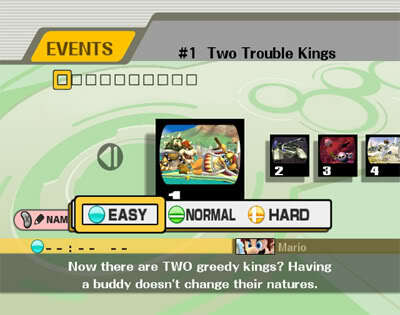 Thus, we hope the events that the titles refer to resemble the event matches found within the Super Smash Bros. games. 50 different events, each with their own backstory, conditions and requirements for you to try and tackle. It would be here that the game's mechanics would be bent just a little. 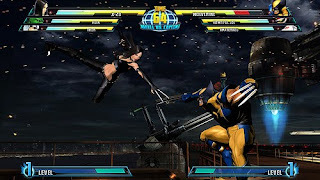 Conditions could range from having only air combos, grounds combos or combos a certain length count as damage, needing to use a number of hyper combos in a given time limit, or even staying in the air for a certain duration of the match. Scenarios could pit specific teams/fighters against each other. Some events may be one on one (sort of like trophies/achievements that require two particular characters to finish off a match), two on two, or even one versus three. Hell, maybe Event #49 has you fighting all four of Galactus' metal goons at once while #50 has you fighting the big man himself all by your lonesome. An Event Mode such as this could be a nice change of pace, and give the game a bit more replayability on the single player side. Not only would they call for skill but also require different strategies on the player's part in order to complete the number of different conditions and objectives. In a way, this could also act as a story mode that fans have been clamoring for ever since the infamous "there will be some cohesive kind of story for this game" quote was said oh so long ago. The backstory of each event could reveal a bit of what was happening between these two worlds on the road to the final encounter with Galactus. In a nutshell, we hope that the event titles refer to some sort of upcoming Event Mode DLC where players are asked to complete certain tasks and scenarios. We admit that the product that Capcom shipped was a little on the barebones side in regards to single players, but a event mode such as this could really add a couple of hours and gameplay variety for them. If this were to come into fruition however, the question of would Capcom charge for this would definitely emerge.